Applications: Low Voltage Lighting, Security, HVAC, Speaker, Audio, Access Control, Card Access, CCTV Power, Residential & Commercial Applications. Can be used with AC & DC power. Use in above & below-ground applications. Suitable for Direct Burial. 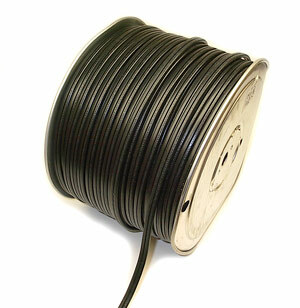 This wire/cable is used in all low-voltage lighting applications. We use and sell cable. But not to confuse everyone, we will call it wire because to the common consumer, it it is the same thing. Our cable is multible stranded 32 gauge copper and remains flexible when cold. For wire/cable, the lower the wire gauge, the more strands of copper = thicker mass of condutive material and less internal frictional line loss. IE: 12/2 is thicker than 16/2. The first number 12/, is the wire gauge. The second number/2, is the total number wire/cable runs attached together as a unit. Low-voltage applications require 2 wire/cable runs. One each to carry the power to your fixtures. 110 volt requires a 3 wire/cable run because building code requires a seperate ground wire that low voltage does not. 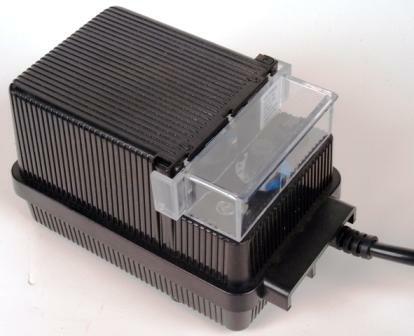 Can be used to power our terrestrial & aquatic lighting fixtures. When running low voltage wire, try to keep the length of each wire run from the transformer to the lights less than 100' and put no more than 100 watts of draw per run of 16/2 wire. If you are using 12/2, it increases to 300' and no more than 100 watts per run of wire. If your lights look dim and yellow or orange, this is a sign that they are not getting enough power. It could be you overloaded the wire run with too many light fixtures, the wire size could be too small, and/or the transformer is being over worked because it is too small for the amount of lights it is powering. You could also try using bulbs with less wattage and see if that helps first. 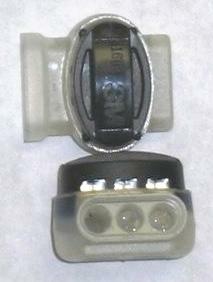 If not, then you will need to redesign your layout with larger gauge wire and larger transformers. If you have multible runs of wire, choose a transformer that has multible power taps. Use the HI setting for the long runs, and the LO setting for the shorter runs. This should help with the power loss you were experiencing. At TJB-INC, anytime we are doing an installation with a moderate to long run of wire, we use the 12/2 gauge wire to be safe. If we are just going around a small to medium pond or short walkway/patio, we will use the 16/2 wire as long as the wattage draw from the bulbs does not go over 100 watts. If you have more than 100 watts of draw, then run two or more runs of wire from the transformer to the lights and split up the wattage draw between the several runs of wire. As long as you do not go more 90% of the transformer's rated wattage output, you can run as many power feed wires to the lights as necessary to split the load. When possible, try to even the wattage load between the power feed runs. From Dominic Libby of Milton, New Hampshire on 6/29/2012 . 1/2/2016 – 16/2 cu strained landscape wire was cut in 2 pieces. Can I fused them back together or do I need to replace it? 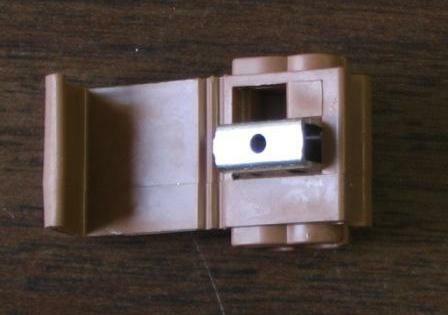 3/7/2010 – Our transformer is rectangular in shape and about 12 inches by 8 inches and about 4 inches deep. I do not know the model . . .